The world’s first streaming service exclusively dedicated to animated storybooks. 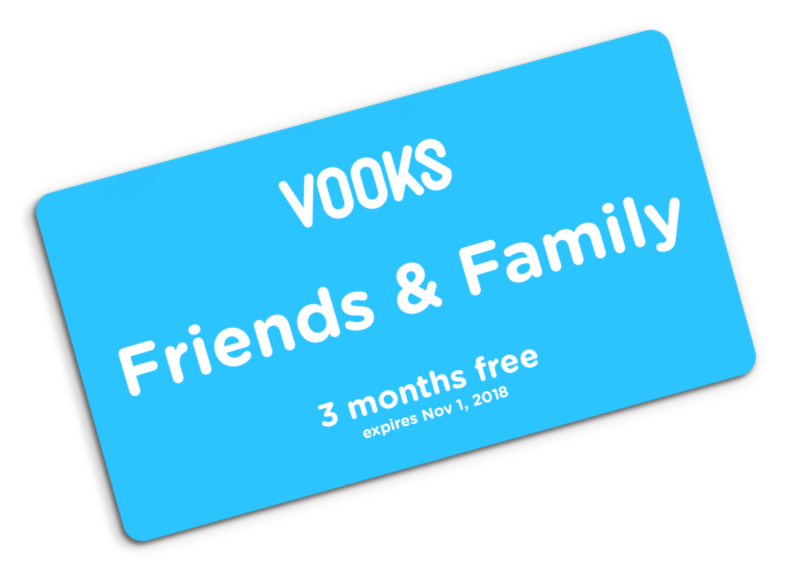 Vooks introduces a new kid-safe video streaming service with ad-free, age-appropriate content. We are so excited that you’re helping us launch Vooks! Click below to redeem your exclusive offer for 3 months free, or support us by signing up for a yearly subscription. Yearly subscriptions or gifting a subscription will truly help us grow faster and bring more titles to our platform sooner. Help us spread the word by sharing this friends and family link. We know how difficult it can be to find the right balance between entertainment and quality content, that also helps in your child’s development. We are excited to grow with your little ones by offering a new and expanding library of content, curated for kids between 6 months - 8 years old.